Affordable Chapter 7 and Chapter 13 bankruptcy debt relief help. Are you considering filing for a Chapter 7 or Chapter 13 bankruptcy in Puyallup, WA? If so, our skilled and experienced Puyallup bankruptcy lawyers are here to help! You have the ability to take control of your finances when filing for bankruptcy. Many of our clients are usually apprehensive about bankruptcy when they first contact our office. It’s not uncommon for us to hear many fears myths, and misconceptions about bankruptcy. If I file for bankruptcy, I will lose my job! If I file for bankruptcy, I will never be able to get credit! If I file for bankruptcy, I will be a failure! If you feel like any of those statements above resonate with you, we understand exactly what you are going through. We have decades of combined experience and can help dispel common myths and misconceptions about the bankruptcy process. We can also explain the differences between Chapter 7 and Chapter 13 bankruptcy, and aid you in determining which option may be best for your circumstances. Our knowledgeable Washington State bankruptcy attorney will help answer your questions. Many people are not familiar with bankruptcy laws and how they were put in place to help them when they get into financial trouble. That’s where our Washington State debt relief professionals can really help. We are here to help you understand the bankruptcy laws and how they can help you. How can filing for bankruptcy help you get a fresh start on your financial future? Bankruptcy can actually be a viable solution if you are credit challenged and have a difficult time keeping up with your daily living expenses. There are a lot of steps that go into filing for bankruptcy. That’s why you need the help of a skilled Puyallup bankruptcy attorney from our team to assist you with the entire process. •	Wipe out 100% of your qualifying debts. •	Stop any lawsuits held against you. Every Puyallup bankruptcy case is unique. That’s why we invite you to take advantage of our free initial case evaluation. This way we can hear your bankruptcy concerns and help you decide on a viable solution that benefits you and your family. We want to help you get out of debt and move forward with your life. •	A free initial consultation. •	Low flat fees and affordable payment plans. 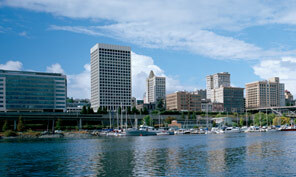 •	The personalized service that your Puyallup bankruptcy case should have. Call now to speak with a knowledgeable Puyallup bankruptcy lawyer today! If you are ready to get out of debt and move forward to a better financial future, give one of our skilled Puyallup bankruptcy lawyers a call today! That’s why we offer a free initial case evaluation to hear about your goals and needs. Give us a call now to learn more about how our experienced Puyallup bankruptcy attorneys can help you file and get on the fast track to financial recovery today!